The Detroit casinos won a combined $140.3 mm from slots, table games and poker in March, a new single-month “record” for the properties, the Michigan Gaming Control Board announced this week. The previous monthly revenue record was $138.6 mm set in March 2018. The win was up a mere 1.3% compared to March 2018, but on paper it is a new benchmark for the Michigan commercial casino industry. 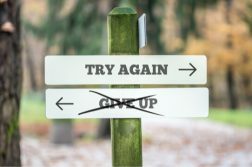 The record was set as Michigan lawmakers continue to work on allowing the casinos to offer gambling over the internet, which would finally inject real growth into the market. 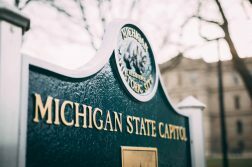 Michigan has yet to see a stand-alone sports betting bill, but the internet gambling bill on the table this session would allow the Michigan Gaming Control Board to potentially authorize online sports bets. MGM Grand Detroit led the way in March. The casino’s gaming revenue was a record $59.2 mm, up 1.9% year-over-year. Greektown’s revenue of $32 mm was a 2.6% gain year-over-year, while Motorcity Casino was down 0.3% to $49.1 mm. March revenue was a 22.5% month-over-month gain. 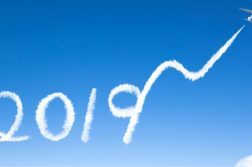 Following an all-time high set in 2018, the casinos got off to a decent start through the first three months of 2019. First quarter combined aggregate revenue of $367 mm was a 1.9% gain from the same period last year. For the quarter, MGM saw a 3.9% increase to $157.6 mm. Revenue at Greektown was $84.2 mm, up 1.5%. MotorCity struggled in the quarter, capturing $125.2 mm from gamblers, down slightly year-over-year. In 2018, the Detroit casino market saw a “record” $1.44 billion in gaming revenue, up 1.4% compared to the previous high set in 2011. The properties paid $11.4 mm in gaming taxes to the state of Michigan based off revenue last month, and $29.7 mm for the quarter. The casinos forked over $16.7 mm in wagering taxes and development agreement payments to the city of Detroit in March. Gaming taxes to the state and Detroit under the online gambling bill are under scrutiny by Gov. Gretchen Whitmer, a Democrat. At a hearing last month, several state agencies under her control indicated opposition to the bill in its current form. A proposal to double the 8% internet gaming state tax rate was shot down at the hearing, but that debate will continue as the legislation advances. The legislation calls for 1.25% of internet gaming revenue from the Detroit casinos to be returned to the city. Whitmer could also be concerned about the impact the bill would have on tribal casinos in Michigan that make revenue-sharing payments to the state. However, the bill does allow tribes to be involved with internet gambling under the regulation of the Michigan Gaming Control Board.